Are you interested in pursuing a career in Investment Banking? Would you like to know how it is to work for a bulge bracket or an M&A boutique? Or do you just want to know more about the Banking Industry? 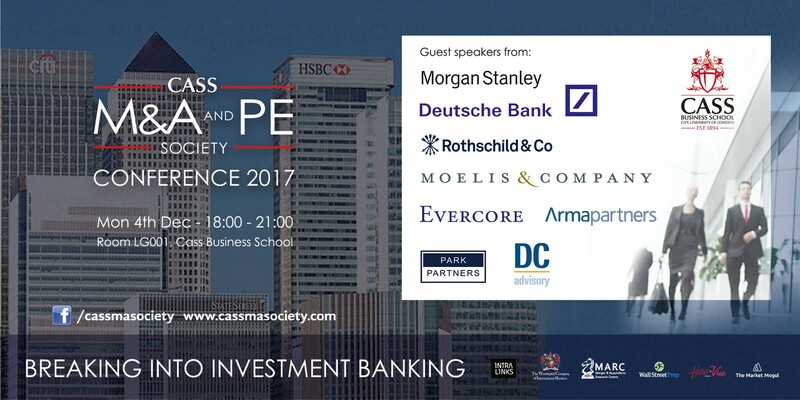 Then you should attend our annual Breaking into Investment Banking Conference, which will host speakers from Morgan Stanley, Deutsche Bank, and Rothschild, just to name a few. Furthermore, you will have the opportunity to stay for networking, and have insightful conversations with Investment Bankers as well as recruiters. Be quick and secure your ticket before we’re sold out! The dress code for this event is business formal.